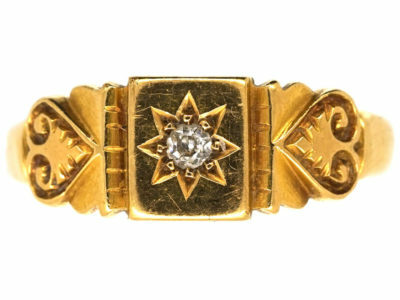 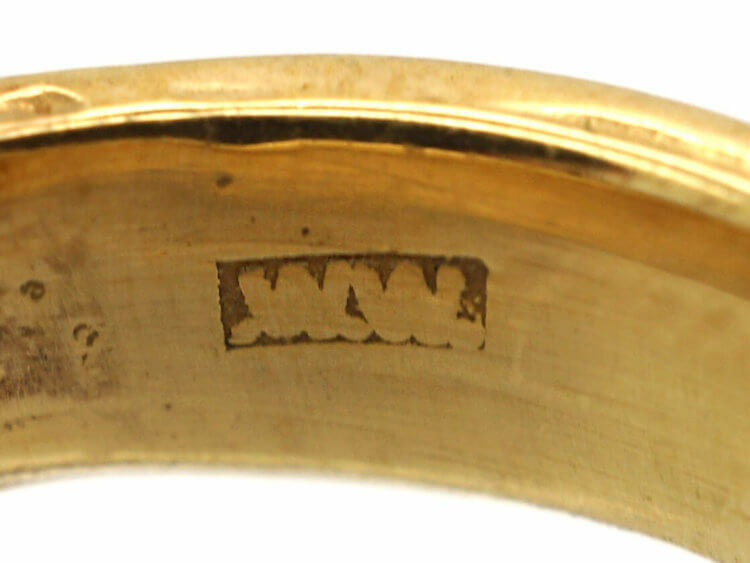 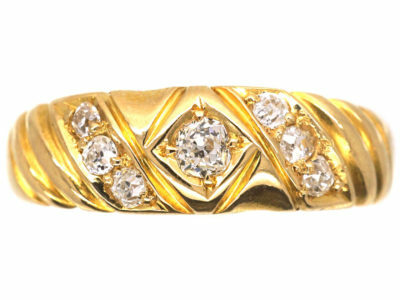 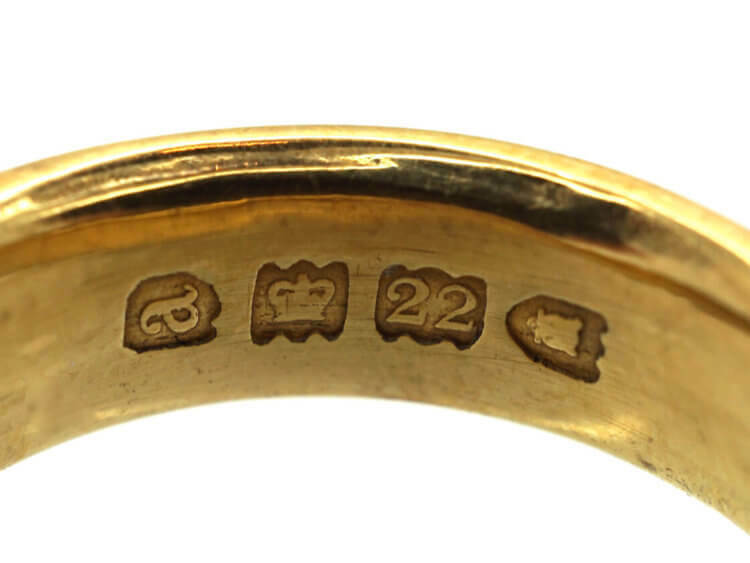 This is a really lovely 22ct gold band that was made in the late Victorian period, 1896 in London. 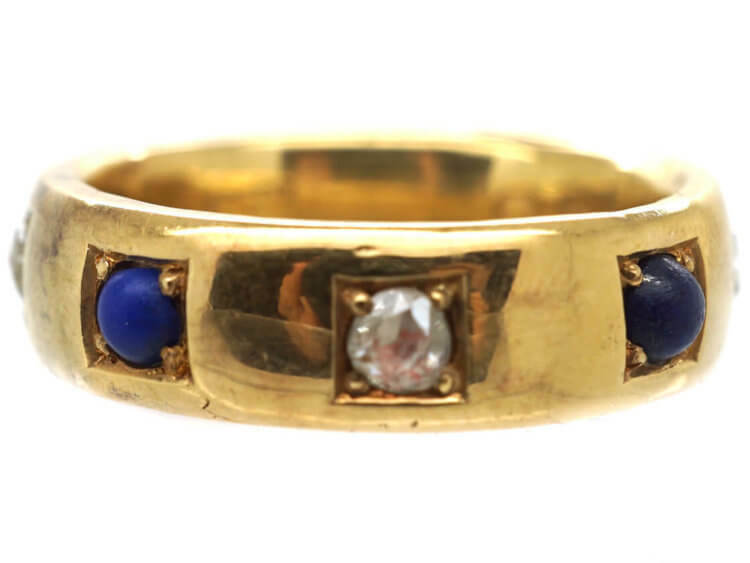 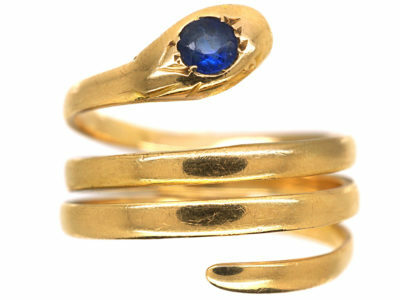 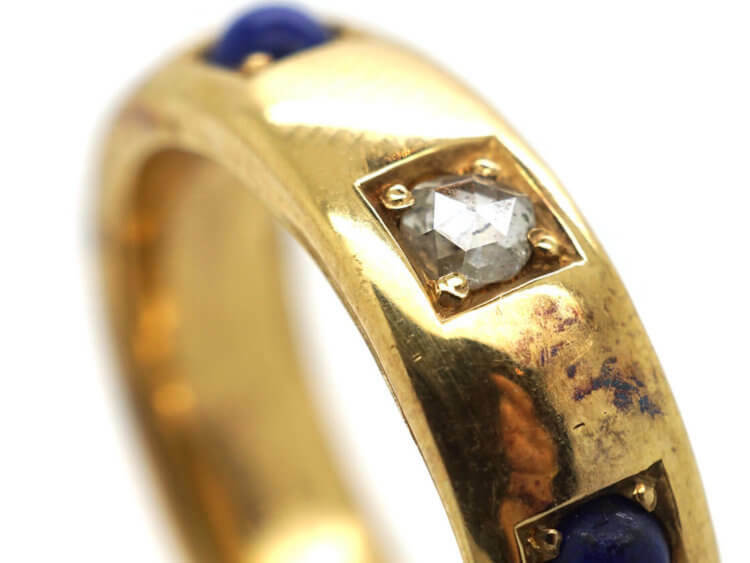 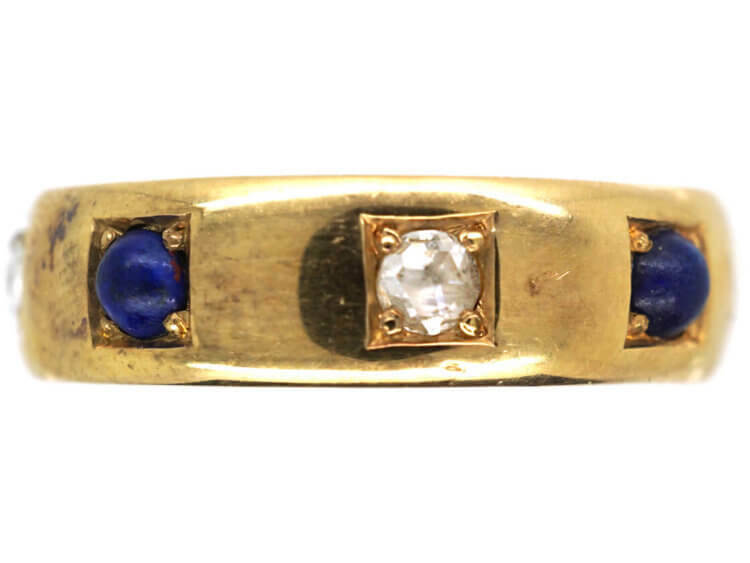 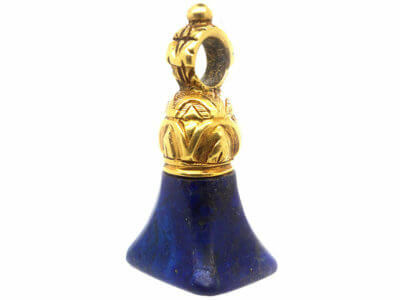 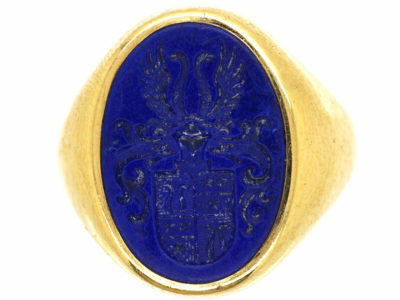 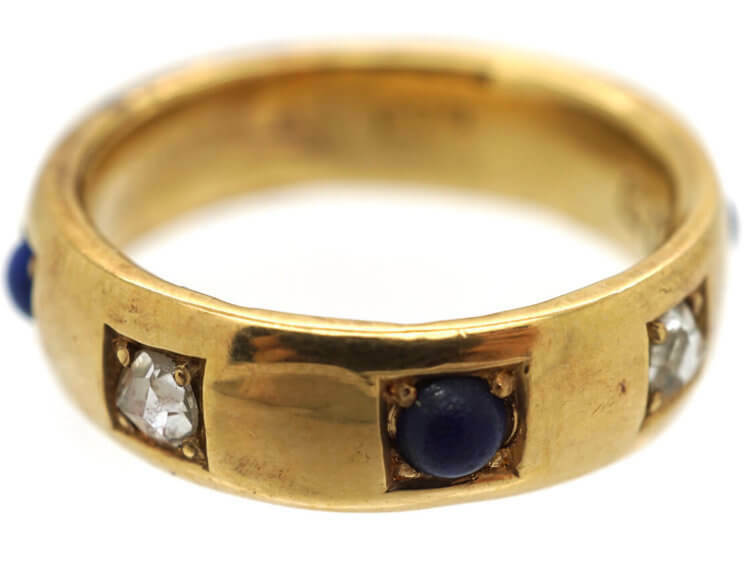 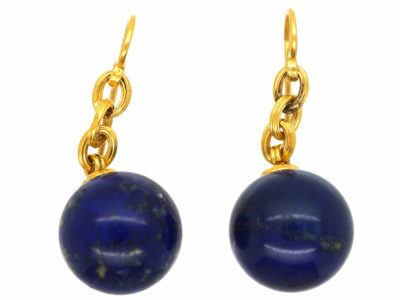 It has been set with four rose diamonds and four cabochon cut lapis lazuli. 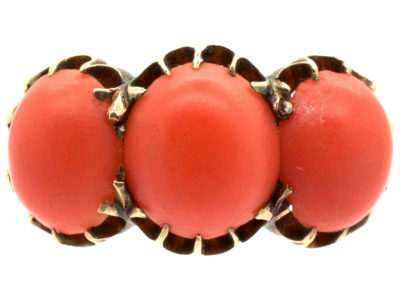 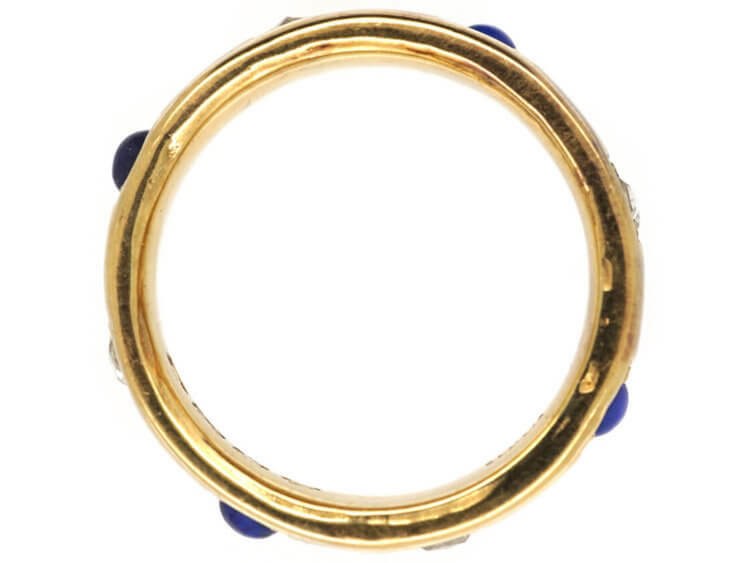 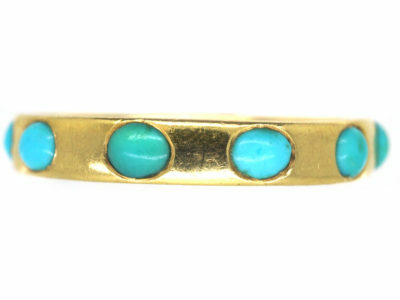 It is a lovely combination and easy to wear on its own or stacked with other rings. 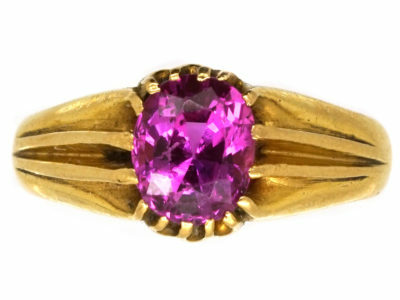 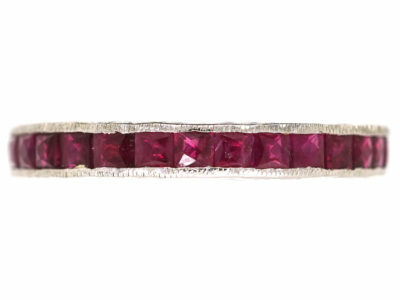 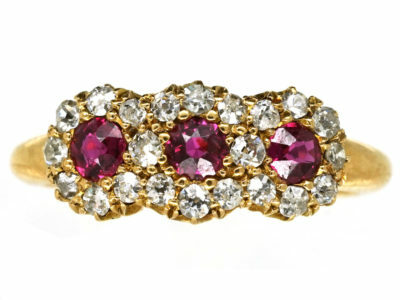 We do not recommend this ring to be sized as the stones are perfectly balanced.